Some famous necklaces and pendants have been at the heart of political and religious upheaval over the ages. 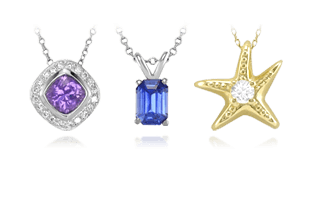 Necklaces and pendants often serve as the centerpiece to a look and have the exceptional ability to add a dramatic flare to any neckline. Throughout history, some necklaces have served as a key component for intrigue – some of those stories are below. 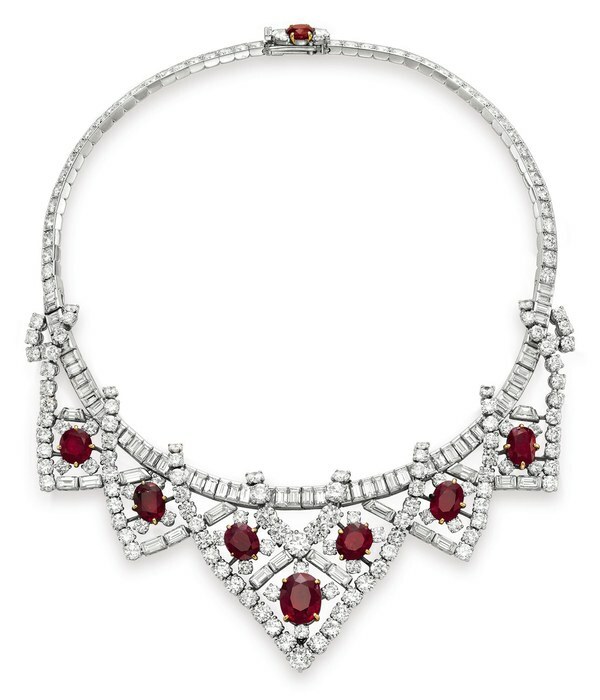 Elizabeth Taylor’s famed ruby and diamond necklace gifted to her by husband Mike Todd. Idealized sculpture of Homer dating to the Hellenistic period. 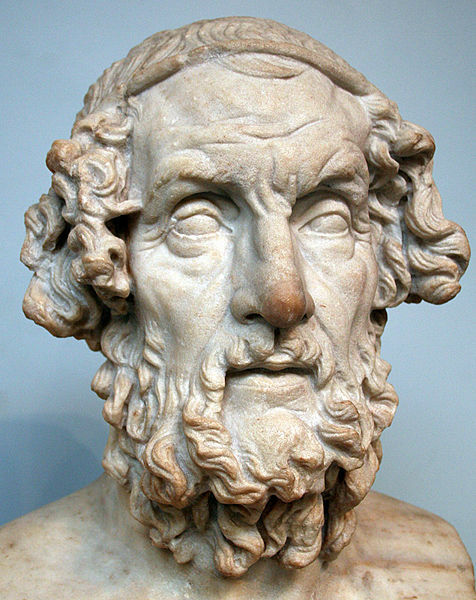 The Odyssey, which was probably written near the end of the 8th century B.C., is one of two epic poems attributed to Homer. The poem is a sequel to Homer’s Iliad and centers on the Greek hero Odysseus and his journey home to Ithaca after victory in the Trojan War. The epic piece details the travails of Odysseus over the 10 years that it takes for him to return to Ithaca and reassert his place as king. 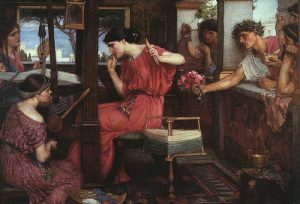 Also featured is Penelope, wife of Odysseus, who waits twenty years for the return of her husband. In the meantime, she is forced to contend with marriage proposals from unsavory suitors. In order to fend them off, she devises many tricks, including the claim that she will marry only after she has finished weaving Odysseus’ burial shroud. Each evening under the guise of darkness, she secretly unravels her day’s work on the shroud. 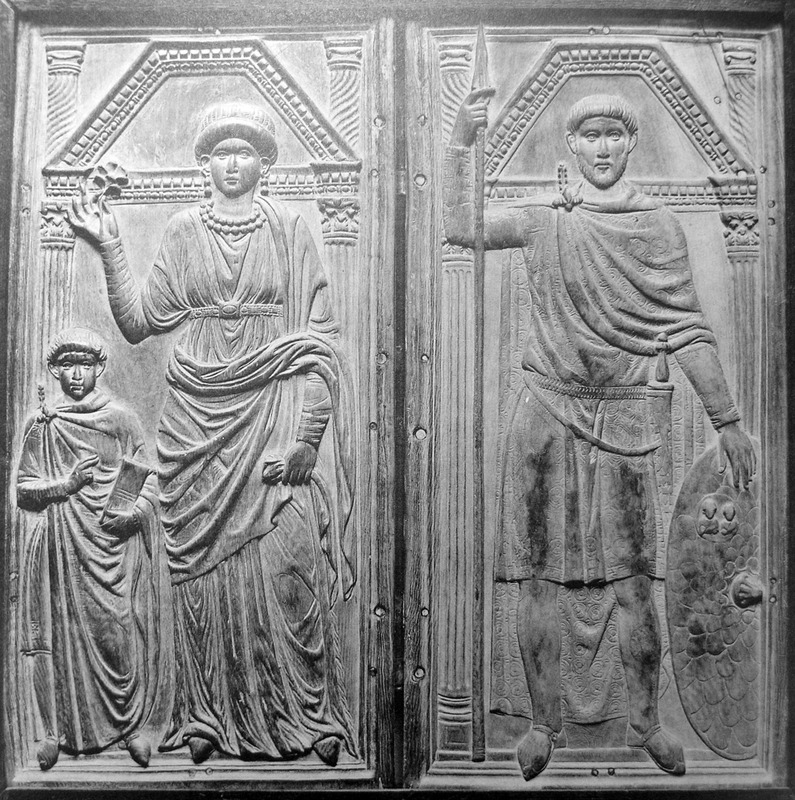 Stone carving of Stilicho with his wife Serena and son Eucherius (c. 395). Serena was wife to a famous Roman general named Stilicho, and cousin to the Roman Emperor Flavius Honorius (384-423). 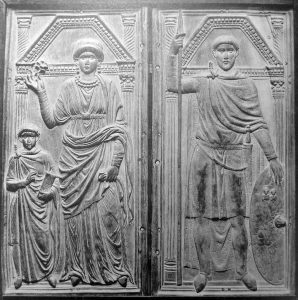 Because Honorius became emperor at the tender age of ten years old, for the first part of his reign, he relied on the military leadership of Stilicho. And Stilicho, to cement his power over the young emperor, arranged for Honorius to marry both his daughters, Maria and Thermantia. Like many powerful men, Stilicho had powerful enemies who plotted his downfall. In 408, a coup d’etat was staged against him and both he and his son were executed on the orders of Honorius. This left the fate of Serena’s life in a very precarious position that did end in an early death, but there is no clear understanding as to what happened. Christian pendant belonging to Maria, wife of Honorius (Musée du Louvre). The untimely death of Serena is attributed to two causes. In one version of the story, Serena was put to death by Honorius after being accused of conspiring with the enemy during the Sack of Rome in 410 A.D. But according to the Byzantine historian Zosimus, the true cause of Serena’s ill fortune and death was due to her vanity. According to Zosimus, she offended the Roman gods by stealing a necklace from a statue of a pagan deity. In his version of events, Zosimus indicates that Serena, a Christian, took a necklace from a statue of Rhea Silvia, goddess of the forests, Vestal Virgin, and mythical mother of Romulus and Remus, founders of the city of Rome. An old woman, one of the last Vestal Virgins, witnessed the theft and called upon the gods to avenge this act of desecration. Before her demise, Serena was plagued by dreams that foretold her imminent death at the hands of her cousin, Honorius. A portrait of Charlemagne, painted by Albrecht Dürer several centuries after his death. 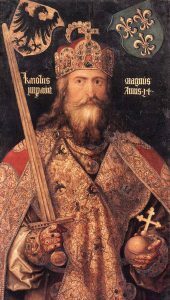 Charlemagne (c. 747-814 A.D.), the founding father of France and Germany and head of the Carolingian Empire, was an intensely religious man. 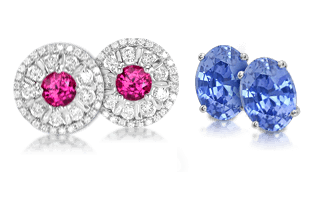 To Charlemagne and his contemporaries, sapphires symbolized heaven and the promise of eternal salvation. Charlemagne owned a sacred amulet in which a relic of the True Cross was placed between two sapphires. The amulet is the only piece of goldwork from the ninth century that still exists and can be connected to Charlemagne. The piece is a testament to beautiful gold filigree detail that has been set with multiple gemstones and pearls. Two fragments of wood purported to be from the True Cross were placed in a cross pattern in the center of the amulet and then two large sapphires were added on either side. 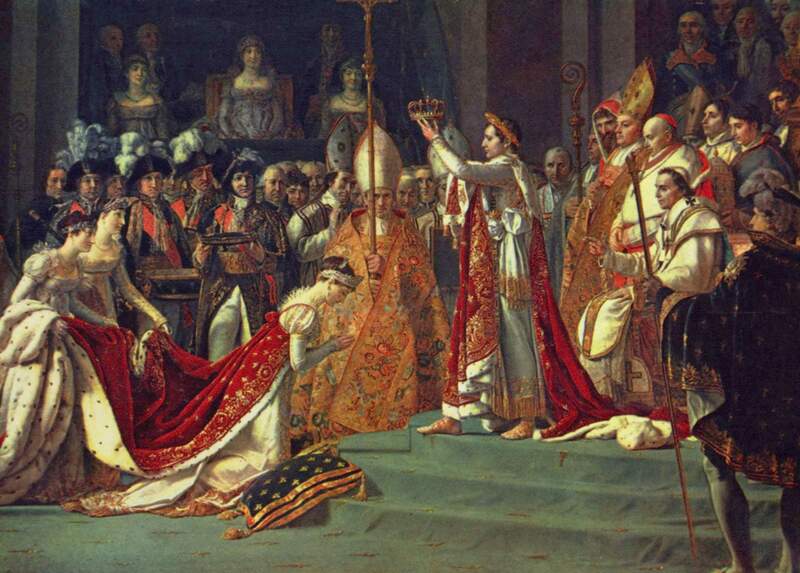 The Coronation of Napoléon by Jacques-Louise David (1806). This amulet was buried with Charlemagne in 814, but exhumed about 200 years later by Emperor Otto III who then made the impressive piece a part of the Aachen Treasury at the church where Charlemagne’s tomb resides. During the French Revolution, the amulet was “liberated” by the people of the town only to be returned later under the reign of Napoleon. Detail of The Coronation showing Charlemagne’s amulet on Joséphine’s wrist. 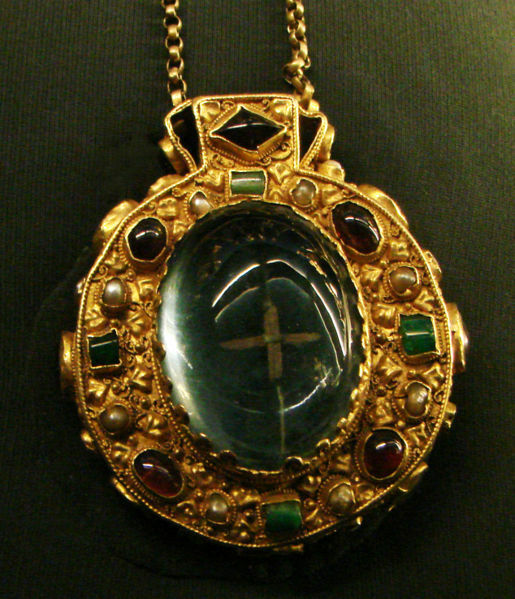 As a thank you for the safe return of the amulet, the Bishop of Aachen gave the piece to Josephine. Empress Joséphine, wife of Napoléon, wore it at her husband’s coronation in 1804, an occasion immortalized in many pieces of art. 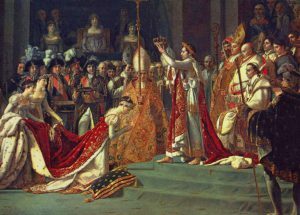 Later, it passed to Napoléon III, and upon his death, his widow gave it to the Archbishop of Rheims. Marie Antoinette with the Rose, by Elisabeth Vigee-Lebrun, 1783. 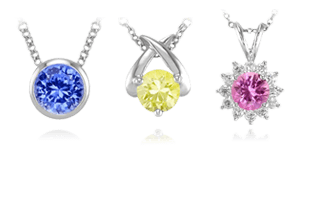 The Affair of the Diamond Necklace refers to an incident involving the unfortunate Queen Marie Antoinette. The unsavory reputation of the Queen was further tarnished by the implication that she had participated in defrauding the French crown jewelers Boehmer and Bassenge. 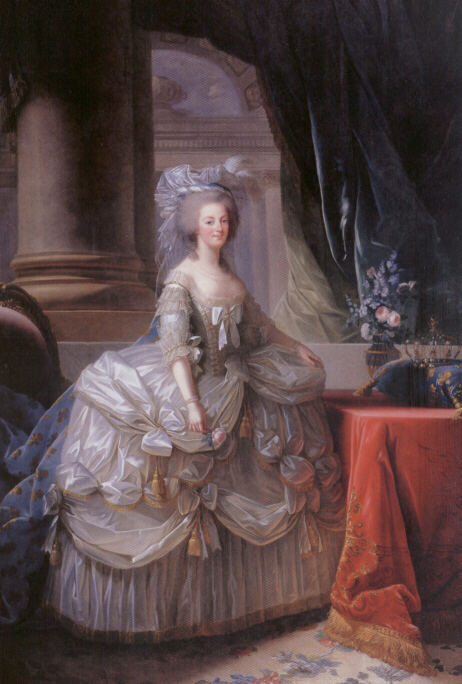 Although it is unlikely that Marie Antoinette had anything to do with this scandal, her reputation for frivolity made her guilty by association in the eyes of the public. The story of “The Affair” began with King Louis XV ordering an outrageously lavish diamond necklace for his mistress, Madame du Barry, from the court jewelers, Boehmer and Bassenge. During the creation of the necklace, King Louis XV died and his mistress was banished from court. The jewelers, facing bankruptcy due to lack of payment, tried on several occasions to sell the necklace to King Louis XVI and his wife, Marie Antoinette. Although Marie Antoinette was no stranger to luxury, it is said that she refused to accept the necklace because it was too decadent even for her extravagant tastes. 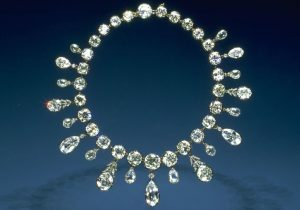 The diamond necklace commissioned by Louis XV for his mistress, Madame du Barry, from the crown jewelers Boehmer and Bassenge. Some believe, however, that her rejection of the necklace had more to do with the fact that it was initially designed for another woman. At this point, the story becomes incredibly complex and involves a female con artist, a licentious Cardinal, a prostitute who resembled Marie Antoinette, forged letters, and a sensational trial. In the end, the necklace too had an unfortunate fate; after it was spirited to England, it was broken up and its large diamonds sold in a piecemeal fashion. Marie-Louise and her son by Joseph Franque (1811). 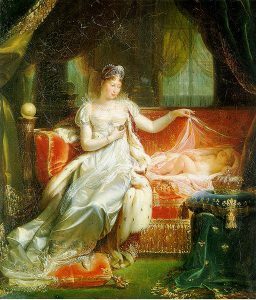 When Napoléon Bonaparte’s second wife Marie-Louise gave birth to a son in 1811, he presented her with a fabulous diamond necklace. 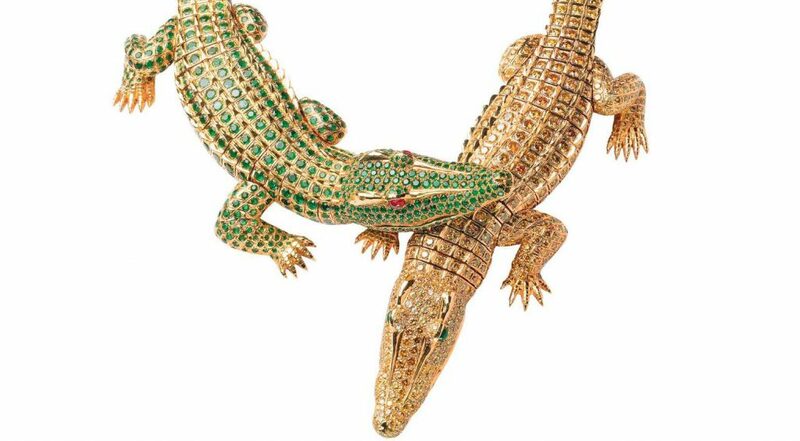 The necklace contained 234 colorless diamonds, totaling approximately 263 carats, which were set in silver and gold. The Napoléon Diamond Necklace. Photo by Chip Clark from The Smithsonian. After Napoléon’s exile to Elba in 1814, Marie-Louise returned to her native Austria. Upon her death, the necklace passed to her sister in law, Archduchess Sophie of Austria. When Archduchess Sophie died in 1872, the necklace passed to her three sons, one of whom, Charles Louis, took possession of it. After the death of Charles Louis, the necklace remained the possession of his third wife, Maria Theresa. 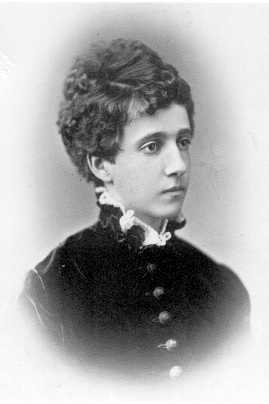 An 1885 photo of Archduchess Maria Theresa. 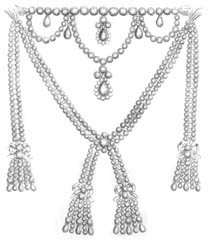 In 1929, Archduchess Maria Theresa sent the necklace to New York where it was initially offered for sale for $450,000. Unfortunately, sale of the necklace was impeded by the Wall Street Crash of 1929, and only after considerable effort was a buyer found. 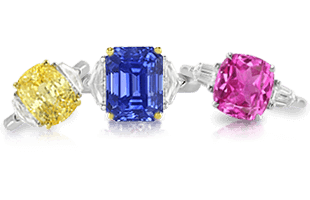 David Michel, a diamond dealer from New York, eventually bought the bobble for a mere $60,000, only $7,270 of which was forwarded to the Archduchess. Maria Teresa immediately protested the sale, and after a court battle retrieved the necklace. Marjorie Meriweather Post, the “wealthiest woman in America,” in a 1929 photo. 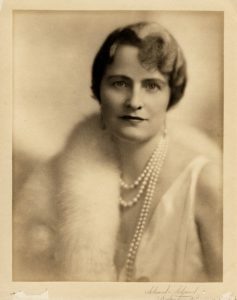 In 1948, the necklace was sold to French dealer Paul Weiller, then to the New York diamond dealer Harry Winston, and finally to Mrs. Marjorie Merriweather Post, considered to be “the most wealthy woman in America” at the time. In 1962, Ms. Post donated the necklace to the Smithsonian Institution where it has remained ever since. As necklaces are sometimes some of the most expensive pieces of jewelry due to their possibly massive size and ability to carry large stones, bracelets are also able to carry that feature as we begin to explore next in Bracelets | An Introduction to History and Style.